The law school at Banaras Hindu University is one of the oldest in the country. It was founded in 1916 by Pandit Madan Mohan Malviya. The college has its own prestige and name in the field of law. It is also ranked as one of the best law schools in the country. The college offers a three year law course, a five year law course, a one year LLM and a two year LLM. 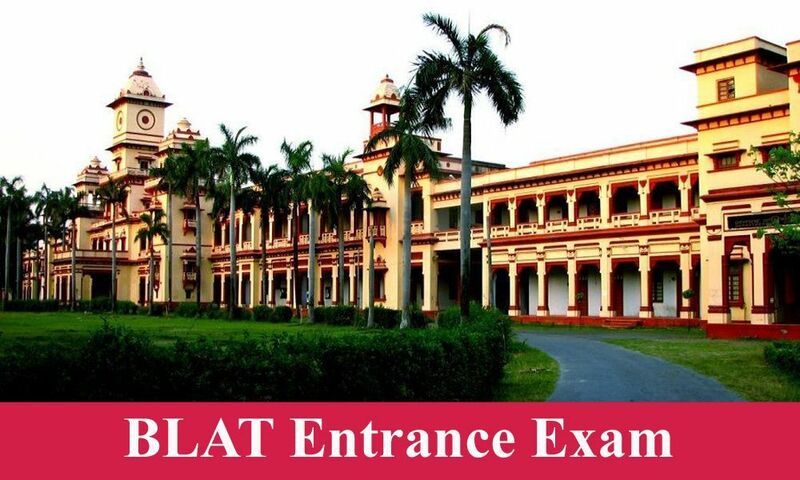 The college conducts an entrance exam called BHU UET(LLB) for admission into its three year and five year law course and the college also conducts an exam called BHU PET for admission into its one year and two year LLM courses. There are 230 seats in the 3 year LLB course. The aspirant should be holding a degree in B.A, B.SC. or B.Com. The education received by the aspirant should be in the format 10+2+3 which means that the aspirant should have studied till 10+2 and then done a three year degree after +2. The eligibility in terms of age is that the student should be not more than 30 years of age as on July 1 of the year in which he/she applies for the course. The general category students must have obtained at least 50% marks in the degree course, the OBC students must have obtained at least 45% marks and the SC and ST students must have obtained a minimum of 40% marks. The candidate will also have to answer a set of questions on Language comprehension in Hindi or English. Basically, the student has to answer reading comprehension in either Hindi or English and not both. The total time allotted for the exam is 120 minutes i.e. two hours. Now let us look at the application procedure. The student has to first go to the official Banaras Hindu University website and follow the instructions given over there. One of the steps is to pay the application fee. The fee of all categories is the same except for fee of SC and ST students for whom the fee is lesser. The challan of the fee. The self attested copy of the caste certificate from a competent authority. The self attested certificate from Chief medical officer of the district for physically challenged students. BHU Employee's ward certificate issued by Director/ Dean/ Principal/MMV/HOD concerned. The admission will be given on the basis of merit after students appear for counseling. Now we will look at admission to the 5 year law course in BHU. First of all the students should have cleared his or her +2 exam from any recognized board. The minimum marks obtained if one is a general category student should be 50%. For OBC candidates the minimum marks obtained should be 45% and for SC and ST students the marks should be 40% minimum. This is the criteria in terms of educational qualifications and the criteria in terms of age is that one should be not more than 20 years of age in case of general category students and not more than 22 years of age in case of SC and ST students. The students who are eligible should fill the online application form and pay the fee. The fee can be paid online as well as offline and is lesser for reserved category students than for general category students. Online payment can be done by debit or credit card and when paying offline one has to take a print out of the challan and remit it in any branch of the bank. Then the payment details will be need to filled in the application. The three sections which should be prepared for and on which a student will be tested are General Knowledge, Legal aptitude and English comprehension. One can expect questions from Jurisprudence, Constitution, Contracts, Torts, Indian Penal Code, Environmental law, Public International law, Evidence, Hindu law and Muslim law. The admit card will be available for download from the official website of BHU one week before the exam. Then comes the exam post which the results will be declared online. The exam is offline. There are +3 marks for every correct answer and -1 mark for every negative answer. No marks allotted or deducted for not answering a question. The results will be online and in the form of marks sheet which will contain the marks obtained by entrants and then a merit list will be prepared. Based on the ranks the students will be invited for counseling. The students can apply for the entrance exam which will be conducted for entry into the PG course for law in BHU if they have done graduation in law in the format 10+2+3 or 10+2+5. The eligibility criteria for this general LLM called the two year LLM is that one should have obtained a minimum of 50% marks in the LLB degree. The total number of seats are 38 in addition to which there are 10% supernumerary seats which are paid seats. Students have to fill the application form prior to them sitting for the exam. Once the last date of application comes to an end the students will have to download the admit cards from the online portal and then they can appear for the exam. It is during the counseling process that original documents will have to be verified so one must carry all original documents or his candidature will be cancelled. This is all information related to admissions into one of the best law universities in India in case one is thinking of seeking admission here.